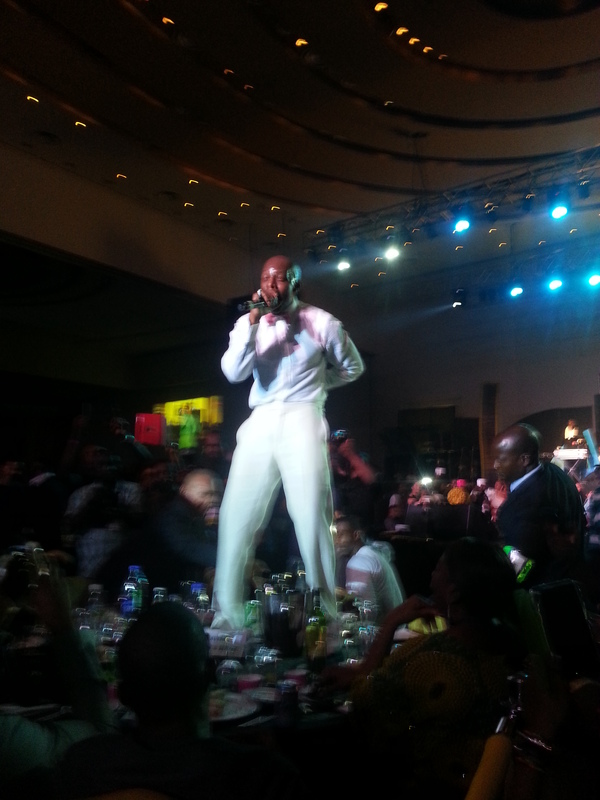 The end-year-office-party season kicked off yesterday, the 1st of December 2013, with MTN’s Corporate Elite 2013 concert at the Convention Centre of Eko Hotel and Suites. This is the seventh year in a row that MTN has hosted the event and man, did they put on a show. These days, I really can’t go anywhere without doing a little aproko, so here are my bits and bobs from the event. 1. 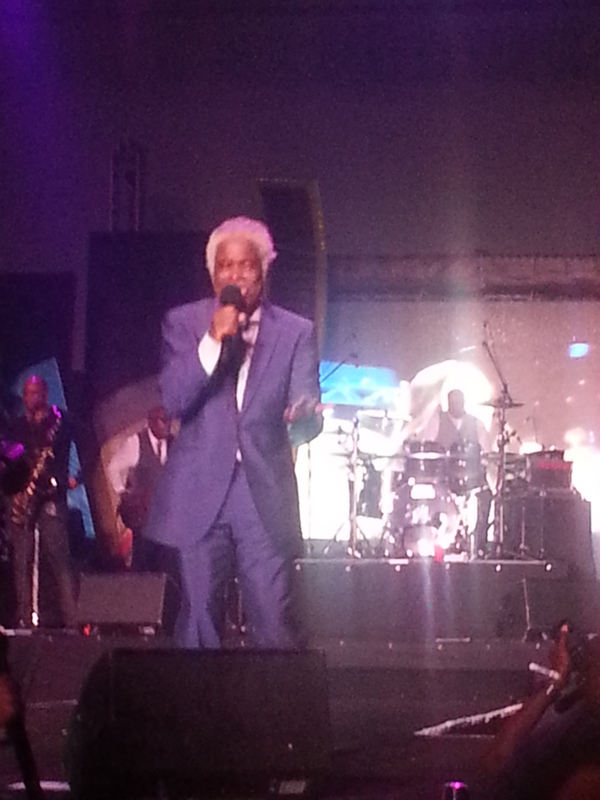 Billy Ocean is a LEGEND. End of. Our man is grey-haired now, being all of 63 years old, and he’s grown dreadlocks along the way. He showed last night, however, that his lyrics are eternal. Reeling out classics like What is the Colour of Love, Suddenly, When the Going Gets Tough, Get Out of My Dreams (Get Into My Car), the entire venue sang along; even the stuffy elite of the corporate elite. Suddenly was particularly tender as everyone, including yours truly held on to their other halves and loved up the atmosphere. 2. 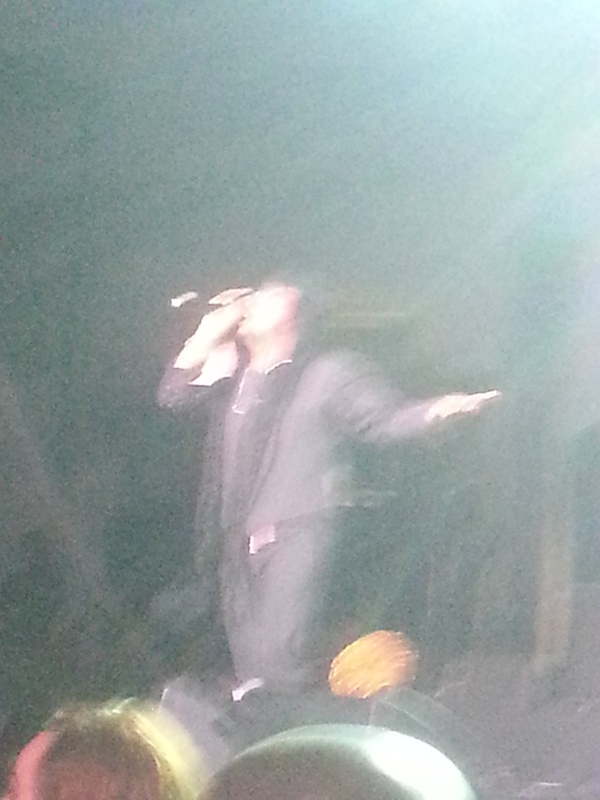 Maxi Priest can saaaaaaaaaaaang! We know him on this side of the planet for hits like I Just Wanna Be Close to You, Wild World, Just a little bit longer and the like, and he performed those songs to all our delight. However, I’d personally confined the man in the box of my mind to being a mere reggae artist. No people – the guy is an absolute rock star. 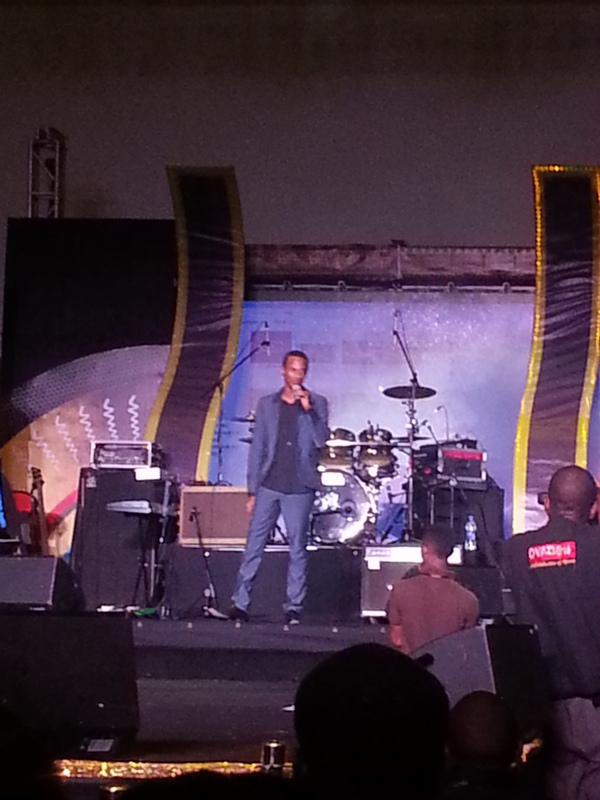 Maxi Priest brang it and then he sang it. What’s more, after his set, he came to sit in the audience at the table right next to mine. So of course I famzed and he shook my hand. Said hand is currently in a vacuum glass glove, destined to remain unwashed until we cross over into the new year. Weeeeeepah! 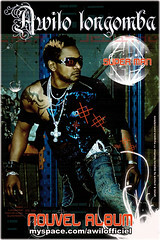 We love Awilo Longomba. We’ve loved him since Comment tu t’appelles? in the late nineties/early noughties. However, he exploded onto the stage and stopped the music after only 20 seconds. “Why you no dennss?” he asked disappointedly, in his thick francophone accent? Then he bust a few bars and held the microphone out to the crowd but only got a muted response. Someone needs to tell him though, that it’s because we sing his music phonetically – we don’t know the lyrics. 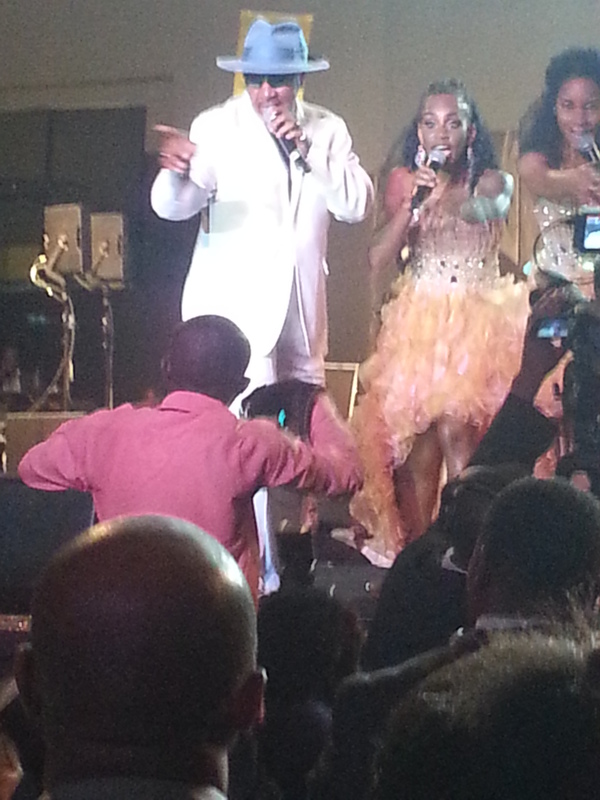 Praiz eventually joined him on stage for their new song to close the set. Two of them, anyway. Since their introduction to the continent (you have to love the internet) on Youtube via Britain’s Got Talent, we’ve seen them in a few music videos. Last night, they were Awilo’s dancers. The one with the bleached, short hair seemed a little overwhelmed by it all every once in a while, with a puzzled look on her face, but there you have it – Simon Cowell’s sphere of influence spreads to a concert in Lagos. 5. Put the Effing Tablets Away! So, Joe comes on stage and all the women are swooning. But not so much that they forget to whip out their mobile phones and iPads. You rush to the stage, your screaming at Joe, he reaches out to shake you, you grab his hand and quickly spin around to take a quickie selfie with Joe? Hian! Even worse, you’re recording the performance on your 20-inch iPad and it’s so fricking large it covers your face. Joe comes over to hold your hand. You give to him, you’re screaming, going nuts yet you don’t put the tablet down so you can actually see his face and look at him properly?? Come on! Live the moment. Carpe momentatis (fake Latin, don’t quote me anywhere, please). 6. It’s the “Corporate Elite”, but Come On! I was seated at a table with a couple of old folks. I suppose they’re the ones that MTN was really throwing the party for. Sometimes, when you’re in the Lagos Elite, I suppose you are mandated by social etiquette to honour all the invitations that are extended to you. But how on earth do you come to a concert, the whole auditorium rises to its feet because their song just came on and you ask me to sit because I’m blocking your view? B@%#$ please! Then you wrap yourself up in a shawl, put your head on the table and look miserable all night, punctuating your misery with intermittent sips of champagne from a water glass. Just go home, lady. Corporate/socialite elite or not. Joe is so fortunate, from the Nigerian perspective, that it was his music that people in their mid-30s to mid-40s became men and women to, and I don’t mean that in a dirty way at all. If you were in university in the mid-90s onwards, chances are you jammed to Joe (and Puffy, Pac, Ma$e and Biggie…but well…). Your first car, with your first Sony Explode car stereo jammed Joe and you probably have a few memories of relaxing to Joe with your boyfriend/girlfriend at the time. Joe got up on the Murray-Bruce’s table. Grandma Murray-bruce gave him a queenly smile. 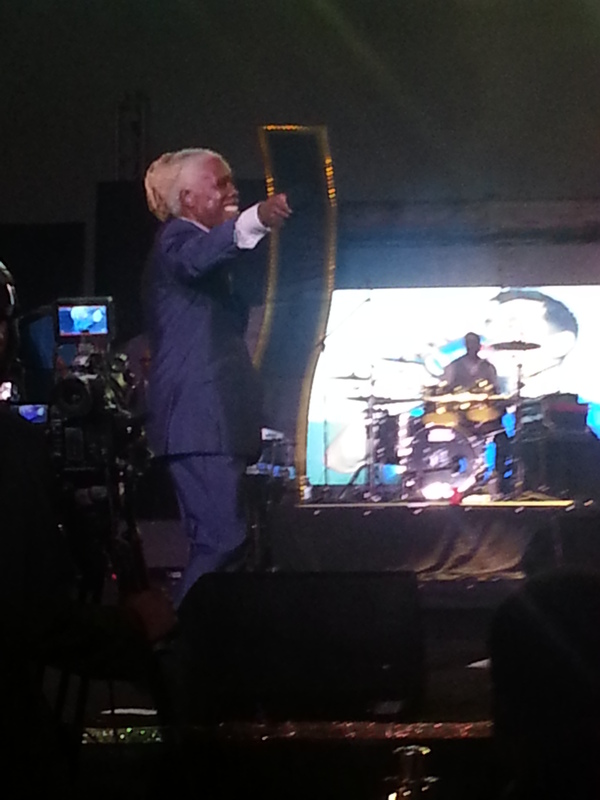 It was the first time in Nigeria for Billy Ocean and Maxi Priest. You can tell it’s an international act’s first time usually by how they harp on “Africa” in their ad libs, but that’s a digression. I reckon both they and Joe were surprised at how popular they were, how everyone sang along to their lyrics when they’ve probably never earned a dime in royalties from Nigerians buying their records. Reminds one of the time DMX came to Abuja about 10 years ago and reportedly flipped out, enraged at the volume of bootleg copies of his CDs on sale. Enter COSON? (I’m sure I just made their Board happy). I cannot end without giving kudos to the Nigerian artists that featured yesterday – Praiz, Iyanya, Davido, Saeon, KCee. The same crowd that got on its feet for Billy Ocean, Dru Hill and Joe went absolutely nuts for its local acts. I bash local artists a lot for lyrical content but I can’t know much about music if the music I complain about brings tens of thousands to their feet. So keep on keeping on fellas. What’s your selling point, as an artiste who peaked 20-30 years ago? It’s nostalgia. When Tevin Campbell came on, you should have seen them mamas with teenage kids now screaming the lyrics of Can We Talk. When JT Taylor did songs from his Kool and the Gang Days, there was this grandpa in a bowler hat going all groupie on the man. The point is, I think, if you want to live on your music for the rest of your life, it has to be worth listening to 20-30 years from now. And this is me harping on lyrics again. I may not know much about music but whine-am-whine-am-go-down-low will not be paying the bills in 2023. What memories can your audience make to whine am music? The product sold be memory-making music. Fantastic write-up. I was there. I concur every inch. No comments on the MC’s? Were you there? What did you think of the MCs? forget about the MC. the DJ was mental bruv.